Spring tree care is an essential part of keeping your trees healthy and strong all year round in Lake Norman. 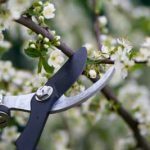 Pruning: The pruning process can seem counterintuitive– why cut back branches of a tree you want to grow? In truth, pruning can keep a tree safe and strong by providing a better branching system of larger and stronger branches, rather than one overgrown with small, weaker ones. Simply put, it enables your tree to provide itself nutrients more efficiently. However, pruning has to be done at the correct time and in the correct places, or you risk harming the tree. Inspections: Now is a great time to inspect your trees and the surrounding areas. Do your trees have enough mulch to keep the ground moist? Are there branches that are dead or dying after the cold season? Did you accidentally forget to take off some of those last remaining Christmas lights? These things and many others should be taken care of during the spring, so your trees can reap the most benefits from the warm seasons. You should also check your trees for signs of insect infestation or disease. Removals: It’s sad, but true– some trees cannot be saved. If you have a tree that is diseased or dying, sometimes the best thing to do is remove it so it won’t become a hazard. If you would like to learn more about spring tree care services that we offer here at Top Notch Tree Service, please contact our team today!